ThemeIsle review from my point of view. Let’s begin. Nowadays, anyone who starts his own business or seeks to expand operations activities has first to make a presence online and, of course, this is not possible without at least having a beautiful website. 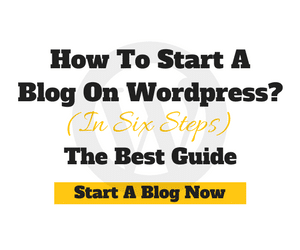 Therefore, entrepreneurs should be willing to invest in online promotion by starting a blog and selling, as we are facing the internet era in which social media also stands for marketing purposes. However, a reliable provider of goods or services has to own a professional website, with as many features as possible. Besides, the website needs to be user-friendly, attractive and original (so that potential customers get curious about it and become interested in navigating on the website for new products/ promotions, etc.). Most people do not have the IT knowledge to developing such a website, and even if they are trying to learn or do this by themselves, this becomes time-consuming, and will often result in a mediocre website, that will engage few visitors, and no sales or orders. We have the solution to this problem, that can either bring substantial profits (if you are new on the market and start your business), or either can boost sales by increasing profit margins (as becoming visible online because you never had a website before and traditionally conducted your business). Themeisle is the best choice if you need a professional website, with best features ever, and benefit from high-quality services of our support team. This article provides Themeisle review about products. 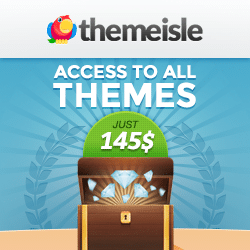 Special Discount: Click Here to get 10% Themeisle Coupon Codes to purchase all themes & plugins. Themeisle is a company that sells WordPress themes and plugins. Set up in September 2014, the online store is meant to serve the WordPress community. The store owners started their business from an idea of providing useful WordPress themes, together with professional design services. The Themeisle team is mainly composed by web designers, web developers, customer- care specialists, and project managers. The company mission is to create best-quality themes for websites, which can be managed quite easy by a non-experienced user. Thus, Themeisle customers will eliminate their maintenance and training expenses on WordPress functioning. After only six months of activity, the store already had more than 150 customers, and by the end of the year, this number multiplied 5 times. Although the level of customers was in a continuous change, by March 2015, the company reached almost 600 in number. The company even gave the possibility of free downloads for certain themes. Still, they wanted to do more and provided CodeinWP plugins at no charge. Also, they set up a blog on CodeinWP where people can find useful materials on how to create user-friendly interfaces, web design, WordPress explanations and examples, and other similar posts. This contributed to increasing their popularity. Themeisle offers additional services of after-sale support, guidance, and training; this is something that most other companies were operating in the same field (the competition) lack. 1 Year Free shared hosting for all plans. Competition might be able to provide additional features, and possibly some high-quality products at low price, due to their position on the market and customer retention capacity. Anyone can customize a theme at his/her convenience. If customers still face difficulties in working with the WordPress themes, they are encouraged to contact Themeisle support team, which provides further assistance and guidance. However, in case customers need someone to perform code changes, Themeisle suggests hiring an outsourcing company for this kind of service, as this is not under their scope. 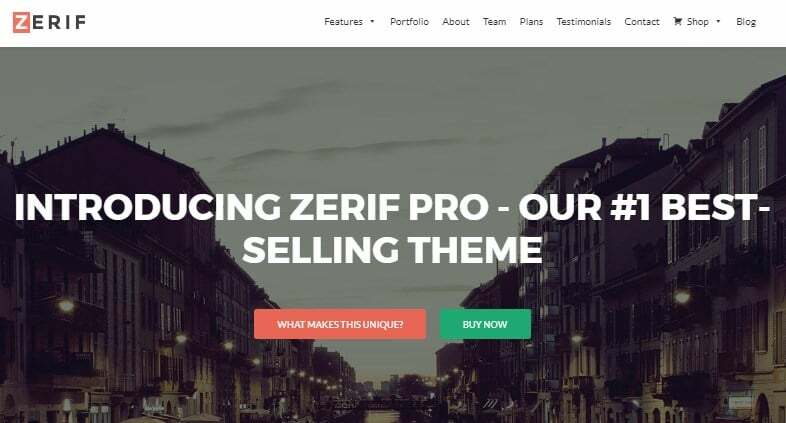 The top WordPress selling theme for Themeisle is represented by the pro-version of Zerif Lite theme. Therefore, one may not be surprised that this product is also in the top five preferences of free downloads. The uniqueness of this product came from certain specialized features that combined in the optimal solution for business people to enlarge their profits. Thus, Zerif Lite Pro theme combines the parallax effect (including the lightweight content slider, animations, etc. ), movable sections (customize elements in the website presentation by changing colors, choosing the order of display and the place for section order), woo commerce function (with the advantage of building a front page in a couple of minutes only), and customized content blocks (the space reserved for company team presentation, portfolio, customers, products, testimonials, prices, news, etc.). Zerif Lite Pro theme differentiated from the other themes through reduced complexity and ambiguity. They used a standard code so that any non-experienced user could work on the WordPress theme. According to Themeisle second Transparency Report, Zerif Lite Pro- their best-sold product, reached to more than 500 customers, and revenue of almost $ 30k. Fig. no. 1 shows some data and statistics on the top six best-sold products in Themeisle, by some customers and generated revenue. The second product with high selling rates is Treasure Chest, having more than 100 customers and reaching $ 11k in profit. On third place, we have Pro Pro Add-on, with almost $ 5k generated revenue. Next in line is Pirate Club, with a total profit of $ 4k. Finally, there are O Add-on Bundle and Post PRO Add-on, each one engaging more than 15 customers, and even if the average revenue per user is significantly different between the two (only $ 3.72 for Post PRO Add-on in contrast to $ 53.82 for O Add-on Bundle), the total revenue reached similar scores: around $ 1k. Themeisle holds 10 wordpress plugins, and WP Product Review Plugin is the top selling product among them. This plugin creates Ratings, Pros, and Cons inside the article and also generates rich snippets on search engines which turn visitors into leads. You can also use shortcodes, Comparision tables, affiliate buttons and the best feature which I want to add in this Themeisle review is the Amazon product integration which comes in WP Product Review. By this plugin, you can import Amazon product info like product name, affiliate link, image, price. I use WP Review Pro from MythemeShop (review) the best alternate of WP Product Review Pro. Nivo Slider – Display pages and posts in slider form. FEEDZY RSS Feeds – Show RSS feeds in your posts, pages. Intergeo – Google Maps Plugin inside the posts and pages. Custom Login Customizer – Create different login page to hide your Login details. Although ThemeIsle is giving more than 30+ free wordpress themes and plugins to use. 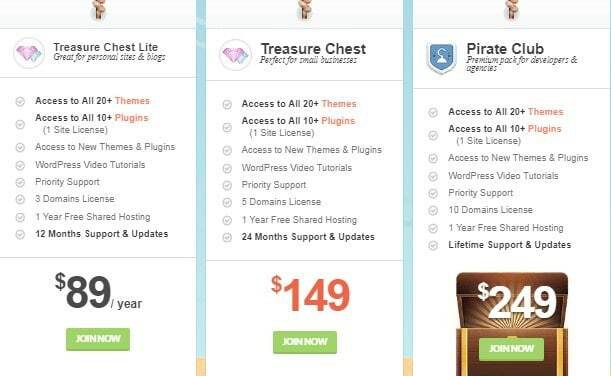 But if in case you need premium themes to use you can buy from three options also use our Themeisle promo codes to get 10% for all themes and plugins. Money Saving Tips: Pirate Club is the popular plan and my favorite choice to buy, you pay once and get Lifetime support and updates to avoid renewing every year. 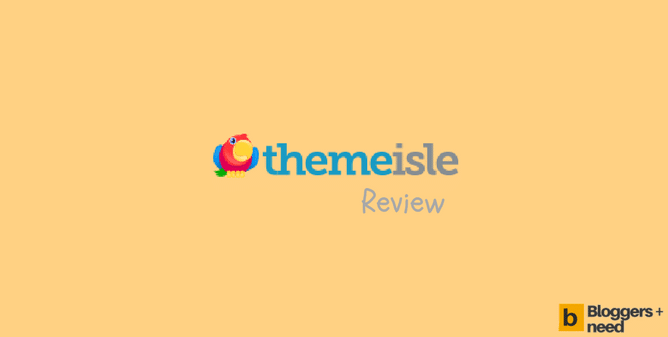 All the ThemeIsle reviews are positive, mentioning the multiple features of products, and the fact that they did not have any issue in using Themeisle products, that proved to be as efficient as presented in the company’s promotions. In most of the cases, the reviews express the benefits gained from Themeisle, at the same time encouraging other potential buyers to use their products. 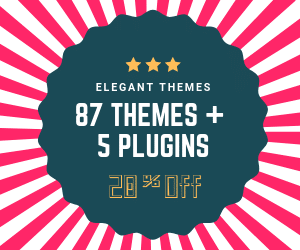 The best alternative for Themeisle I found is Elegant Themes Click here to visit their Official website or check my review post and use our special Coupons codes to get huge discounts. 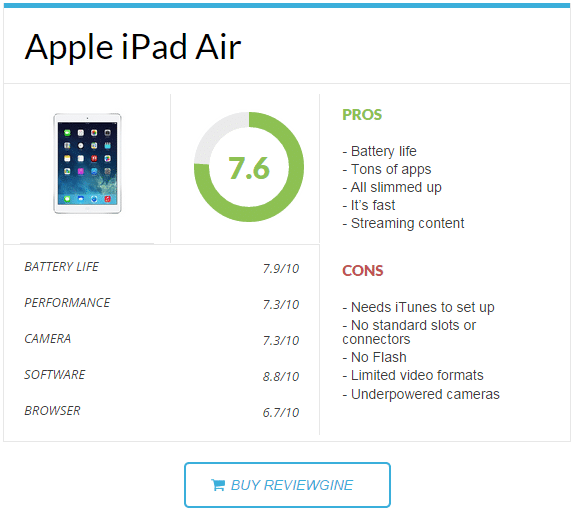 The main purpose of this article was to provide a ThemeIsle review on products. I mentioned why people should become Themeisle customers, and outlined the main features of their products, also presenting the top six best-sold items to explain further. 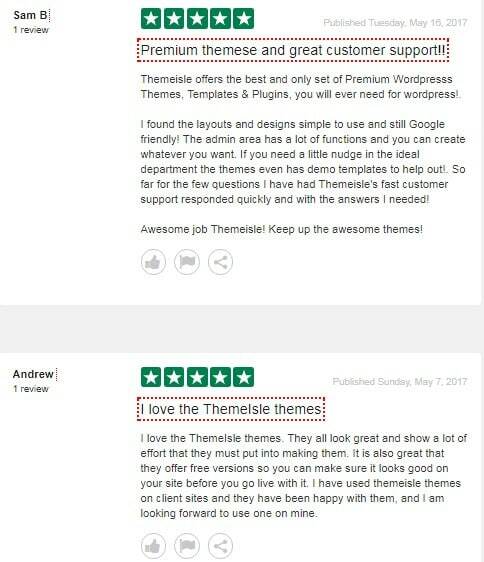 Then, I defined some arguments for and against choosing Themeisle as a provider of WordPress themes, and finally, I analyzed the reviews expressed by customers after using their products. 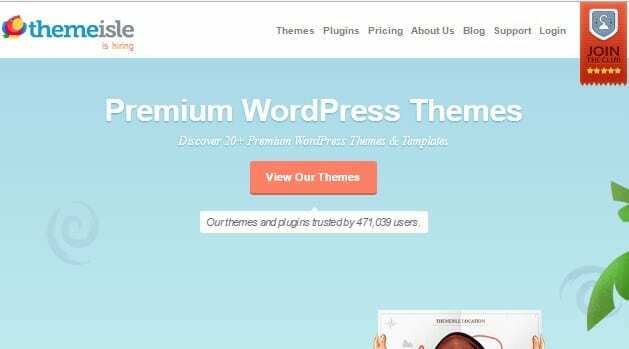 On the whole, Themeisle is an excellent choice for the standard user of WordPress themes, plugins or other similar devices. The products are user-friendly, through their simplicity and clearance, but in the same time of high-quality standards. Further on, in addition to most of their competitors, they provide assistance and guidance during the purchase process and even after-sale support when the case.